Ran into this fun one the other week. 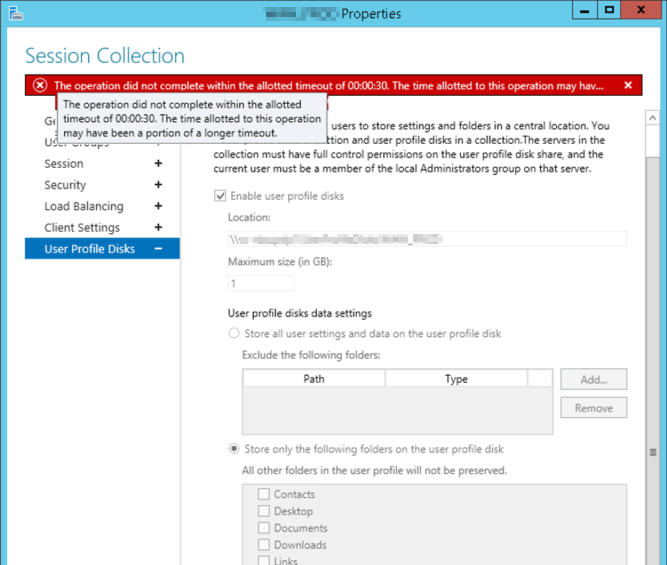 When attempting to change the location of the User Profile Disk share on a collection, the operation times out, and some session hosts in the collection grab UPD’s from the new UNC path, while some session hosts grab UPD’s from the old UNC path. This occurred on a session collection with a larger number of session host servers (15+). In order to fix this and get all session host servers pointed at the same UNC path, on the session host servers that are still pointed to the old UNC share, open regedit and browse to HKLM\SYSTEM\CurrentControlSet\Control\Terminal Server\ClusterSettings. 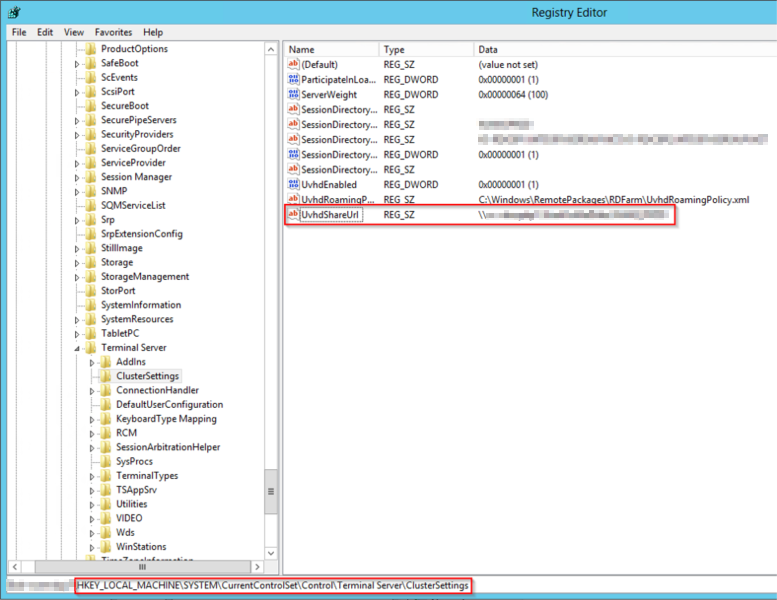 Modify the string value UvhdShareUrl and change it to the correct UNC path. That's all there is to it. 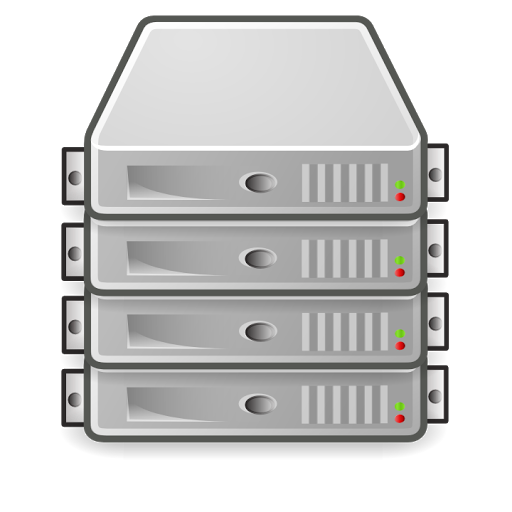 The session host servers do not need to be rebooted or any services reset. The new profile path will begin being used as users launch new sessions to the servers.